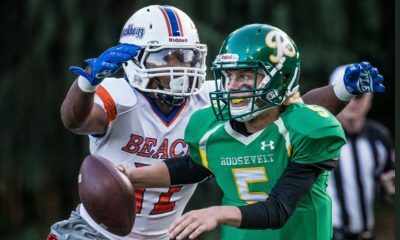 When this weekend comes and Woodinville and Sumner square off almost anything can happen. Each side of the gridiron will be lined with some of the best athletes in the NW. Among that group will be Jaden Sheffey (QB) for Woodinville and Luke Ross for Sumner. And what a show they will put on. 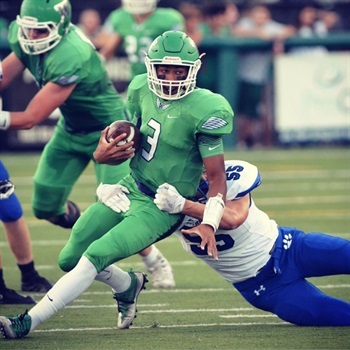 Sheffey has had quite a run the past few years and came into his own this season where he has posted almost 1,800 yards passing and another 500 yards on the ground. He has 18 Passing TD’s and 12 on the ground. He is a dual threat dandy and has all the speed and ability coaches want in a player and teams need in a QB to win it all. He is a dude! 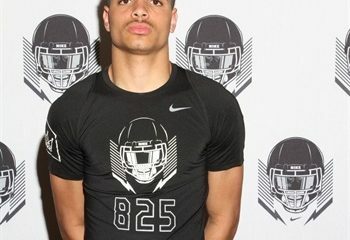 He is 6’1″- 190 lbs and plays safety as well. For his career he has 4,600 all purpose yards and 63 TD’s! 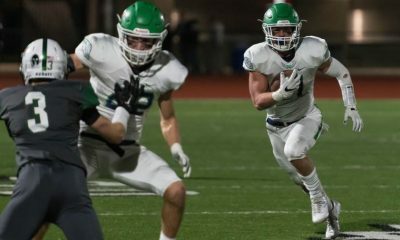 This is so special and he is a big reason Woodinville comes in Ranked #1 (12-0) into this Semi-Final game this weekend. 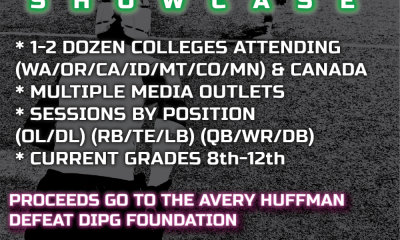 Check Out Jaden Sheffey’s HUDL page and film right here. He is a collegiate level athletes deserving of a shot! On the other side of the ball leading the Sumner Spartans will be the Coach’s son, Senior Luke Ross. 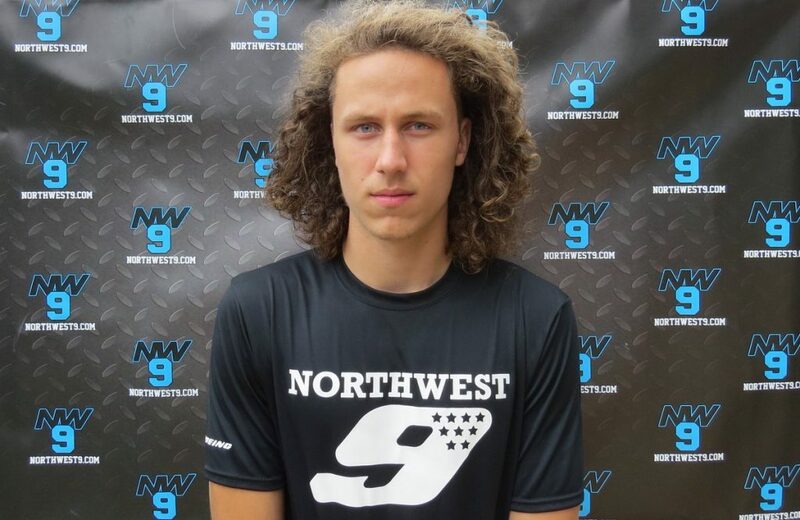 Now I have seen Luke play just once and got a chance to interview him up close and personal at the NW 9 QB challenge. He is in some ways the same as many QB’s that I have met in terms of his great skill set and his pinpoint accuracy. But there is a stoic determination about this guy that gives him an edge. He is a winner and while he is surrounded by awesome talent in terms of receivers and backs. he makes it all work. His game is passing- you won’t find him cracking off long runs like Sheffey. Not that he can’t but he just doesn’t need to. He has a record that is hard to believe. 31-4 as a Varsity starter and folks that is just so impressive. To date, we have Luke Ross as having thrown for 4, 650 yards and 66 TDs. Like his opposing QB this weekend Luke is a guy that will go on to have a great college career somewhere. The 6’2″- 180 lb gunslinger is a special one! Luke Ross is determined to win and his focus, skill, and football IQ seems to only be outweighed by his will to win! Catch Luke’s film right here. You can catch this game at Sparks Stadium in Puyallup, WA at 5 PM 11/25/17. Best of luck to both teams for a safe game and a memorable experience! Brackets are right here! Nice Article Dirk! Someone needs to come get Jaden for their program. He is a great young man who works very hard and leads by example. Man you are not kidding – he can do a whole lot of things out there on that football field!